Austin McMullen approaches his clients’ projects with a zeal to discover creative solutions to their problems. For Austin, the difficult and complex issues prove to be the most interesting and drive him to figure out all the contours of the law to help his clients. 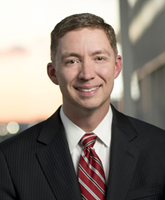 Focusing his practice on bankruptcy law, government relations, and commercial litigation, Austin represents creditors and Chapter 11 debtors; candidates in election contests; and clients involved in federal, state and local permitting issues; as well as clients in commercial litigation before state and federal courts. Austin is Certified as a Creditors Rights Specialist by the Tennessee Commission on Continuing Legal Education and Specialization. He joins a small but select group of Tennessee attorneys who have completed a rigorous certification process required by the Tennessee Supreme Court.